The job of a school leader has changed dramatically in recent years, leading many education advocates to a new, heightened focus on principals as instructional leaders and to an increased interest in better supporting principals. Through work that includes supporting teacher growth and creating a strong school culture, school leaders account for up to a quarter of in-school factors that affect student performance. When the State Collaborative on Reforming Education (SCORE) gathered feedback for the Excellence For All: How Tennessee Can Lift Our Students To Best In The Nation report in 2017, Tennesseans emphasized the critical role principals play in retaining excellent teachers and encouraging and supporting educator growth. In fact, Tennessee higher education leaders, district leaders, and policymakers have spotlighted the need for stronger principal preparation and support. Since that report was issued in November 2017 with a priority on school leadership, we have seen growing attention on the work to ensure that principals are prepared and supported to lead people and learning. Strong principal leadership is instrumental to improving and maintaining effective schools. Many principals do not feel well prepared for the diverse responsibilities of school leadership. 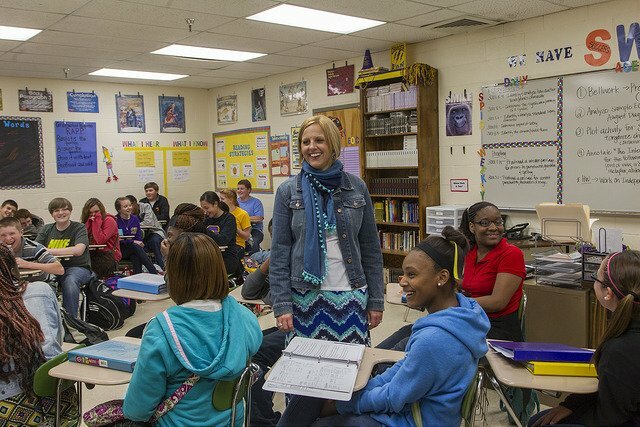 Inexperienced principals often are placed in Tennessee’s highest-need schools. High-quality principal preparation programs use research-based strategies for candidate selection and program design to ensure candidates are ready to make meaningful improvements in student achievement. A new RAND Corp. report found that the Wallace Foundation’s University Principal Preparation Initiative had a successful first year. The effort involved seven higher education institutions that partnered with districts in their state to help redesign principal training programs. As the partnerships continue, it will help provide valuable learning to other states, higher education institutions, and districts for how to strengthen the principal pipeline. New research from Jason Grissom, a Vanderbilt University associate professor of public policy and education, and Brendan Bartanen, a Vanderbilt University doctoral candidate, found that effective school leaders are skilled at retaining high-performing teachers as well as strategically turning over the low-performing teachers as measured by classroom-observation scores. The study also highlighted the importance of effective principals providing instructional coaching and feedback as well as planning meaningful professional development for the educators in their building. This is vital for ensuring that Tennessee students have access to highly effective teachers. The Tennessee Department of Education formally launched the Tennessee Rural Principal Network in September. Fifty-two principals make up the inaugural class. The principals will receive funding to attend state-led conferences and training opportunities to help support their work. The network is also one component of Governor Haslam’s Transforming School Leadership Initiative that was launched earlier this year. A separate study by Vanderbilt University and Mathematica Policy Research, as part of the Wallace Foundation’s Principal Supervisor Initiative, found that shifting the role of district supervisors of principals to emphasize coaching and mentoring instead of operations and administration leads to principals feeling more supported. The findings also suggest that reshaping this role could lead to improving schools by a focus on raising student achievement, strengthening the school culture, and retaining more high-quality teachers. Tennessee has made progress with a strong focus on developing excellent principals by providing better preparation before they enter school leadership roles and more support during the first years in the role. Great schools are led by great leaders and all Tennessee students deserve to attend an excellent school to prepare them for a lifetime of success.